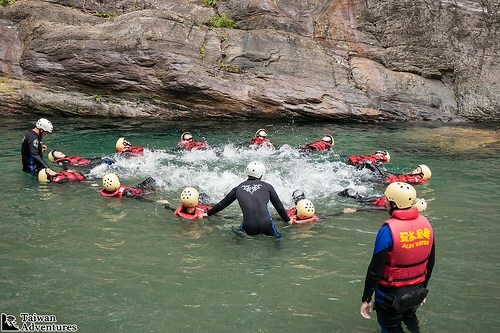 Joining one of Taiwan Adventures’ school trips will not only give students an opportunity to see Taiwan’s outstanding natural beauty, but also allow them to experience and be inspired by nature. All of our school trips are led by experienced guides who are native speakers of English and have spent over 10 years in Taiwan. Our guides are all first-aid qualified (WFR), LNT trainers, and have a lot of experience working with children in the outdoors. We believe that an outdoor educational trip should not be a once-in-a-lifetime experience, but instead be a catalyst that creates a lifelong love of nature and the outdoors within participants. We can arrange school trips to cater for all requirements. Whether it is their first time sleeping in a tent or the thousandth, we can arrange suitable trips that safely challenge students to get out of their comfort zone and truly experience the great outdoors. If you want to arrange a challenging scenic hike, but without carrying large backpacks, we also have a lot of day hiking options. 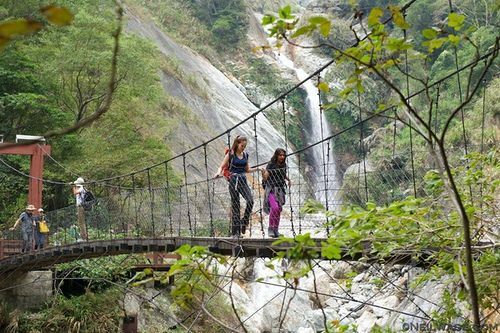 Taiwan is blessed with a vast number of excellent and varied day hikes that range from gentle walks to full-on adventures. Depending on the level of the students, these can arranged as a chance to admire the scenery or as a challenge to push themselves beyond their comfort zone. Our multi-day treks range from 2-6 days of hiking, and all are challenging high mountain climbs. Participants will need to have a good level of fitness and the ability to carry a heavy backpack (>10kg). In spite of the hard work, the rewards are enormous. Incredible high peaks, beautiful alpine lakes, and endless unspoiled forests are just a few of the sights the multi-day treks offer. River tracing, sometimes called canyoning, is where we walk/climb/swim up a river. It is a refreshing, exhilarating and challenging experience. Taiwan is the perfect place for river tracing. The mountains are steep and stunning, and the rivers that run through them have crystal clear emerald colored water. There are a large number of river tracing spots both around Taipei and Taroko Gorge that are suitable for a wide range of abilities and activities can be arranged for half to full day. Camping in the outdoors is an experience that everyone should have. Spending a night out under the stars can be as memorable and worthwhile as climbing to a high peak. We can arrange either a remote campground experience, or a night of true wilderness camping alone in the mountains. 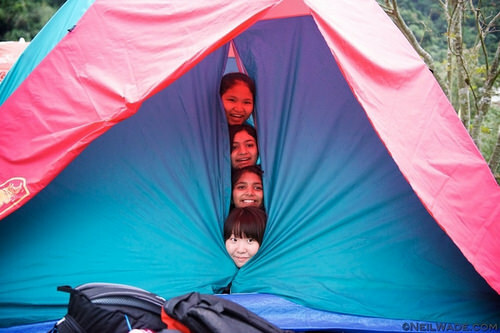 For either trip, we will provide high quality tents and sleeping bags. Carp Lake is located a short drive from Taroko Gorge, and it is the perfect spot for an introduction to kayaking. No kayaking experience necessary. 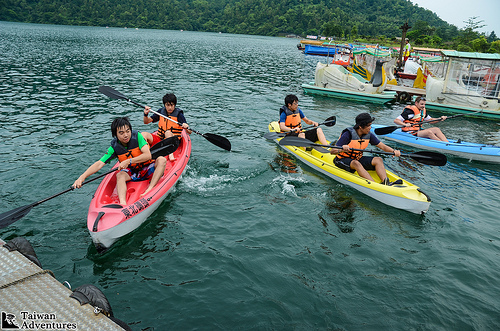 Sea kayaking off the coast of Hualien is also possible depending on the season. Some kayaking experience is necessary for this activity. 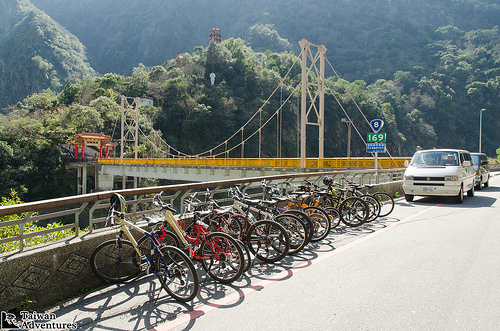 Cycling activities can be arranged both around Taipei and Taroko Gorge. 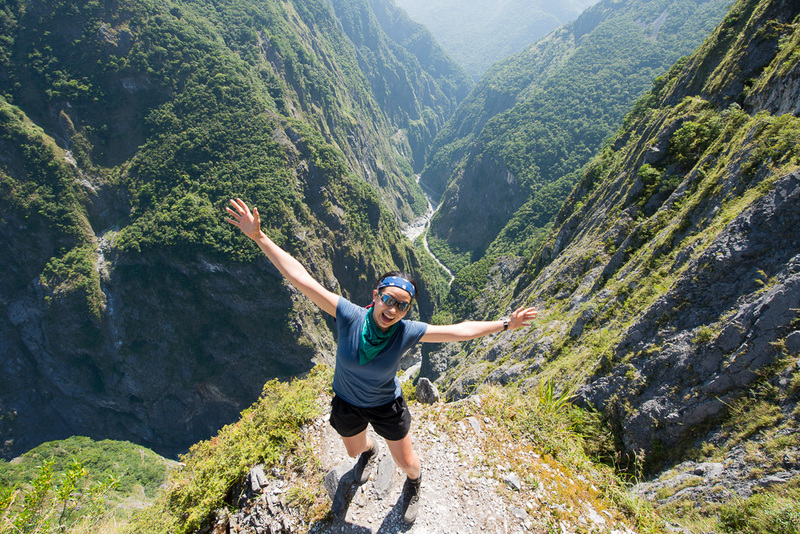 Experience some of the tough mountain rides in the foothills of Taipei, glide down through the canyon at Taroko Gorge, or enjoy the sights with a ride down the east coast. 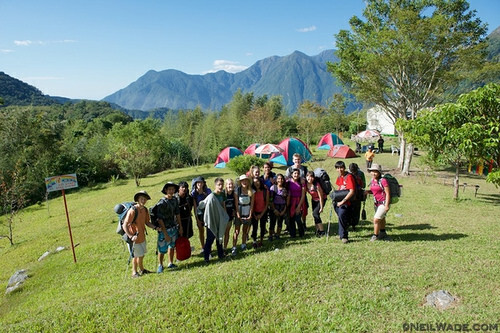 The principle of Leave No Trace is very important to us in the outdoors, and it is something that we like to instill in participants on any of our programs. All of our guides are qualified LNT trainers and running LNT sessions with the students can be arranged as a separate activity, or as part of a trek. Certification can also be provided. We believe that its really important for students to learn wilderness skills when spending time in the outdoors. It is possible to incorporate these sessions into treks or combine them with camping activities. We will teach students skills including putting up shelters (tents/tarps), cooking in the outdoors, map reading and compass skills, and basic knots. For advanced classes who need to get qualifications without the assistance of a guide, we offer our service to help plan, get permits, and aid the group with transportation to and from their destination. At Taiwan Adventures we take safety very seriously. All of our guides are qualified Wilderness First Responders and have been trained in risk management strategies. We have a low guide to participant ratio (1:8) that allows us to keep a close eye on everyone’s safety. On all of our trips, guides carry both VHF radios and a sat phone in case of emergencies. We also have extensive local contacts in the areas that we visit. In addition to ensuring the safety of all on our trips, Taiwan Adventures guides seek to encourage participants to play an active role in protecting the welfare of the group. Our guides are trained in team-building skills and will work with students to enhance their teamwork and leadership skills throughout the trip. We will provide a healthy, nutritious and balanced diet for participants on our trips. This generally includes a mix of Asian and Western foods, along with snacks throughout the day to keep energy levels up. We are able to accommodate most diets on our trips. Please let us know in advance if you have particular requirements. During the planning of your trip, one member of our team will be your point of contact for throughout the whole process. We will deal with all the logistics of the trip from the moment we pick you up at the airport, to the moment we drop you off. We will work with you and your team during this process to plan the trip in a way that covers any requirements you may have and adds a little extra. Each trip is entirely customizable and we welcome your input to make the experience be exactly how you want it. We will provide risk assessments for all activities so you can be assured that safety is our number one priority. We will provide equipment checklists for each student, and we also offer a rental service of high quality equipment, should you wish to lighten your load on the journey to Taiwan!